My name is Kim Frandsen, and some of you might have seen my name elsewhere already. I’m the guy posting all the links for the Open Gaming Network, the thing showing the various Pathfinder and 5e releases done by d20pfsrd.com Publishing, as well as being the author of a number of books of my own. This is the Editor’s Corner, a small soap-box area of my own, where I take the chance to talk a bit about what’s happening within our little universe, primarily focusing on the work of d20pfsrd.com Publishing, in particular, what I’ve been working on as an editor, as well as any industry trends, whenever something catches my attention. The boiler plate text out of the way, it’s time or the second installment of the Editor’s Corner, since, as mentioned in the last entry, this is supposed to be a monthly thing. So what’s being going on over here? 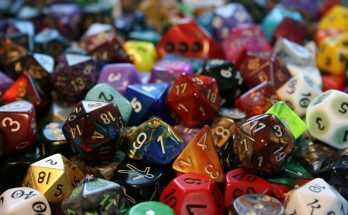 Since last time, we, of course, had the announcement of the Pathfinder 2.0 (2nd edition, PF2, it’s gotten many names by now), and before we get too deep into this: d20pfsrd.com is intending to continue supporting Pathfinder 1 on d20pfsrd.con for as long as there are players visiting it! It’ll be set up so that you can freely choose between the 2 rules versions, and easily navigate between the 2 editions. On the publishing side of things, we’re also continuing to support Pathfinder 1, at the very least, until the release of the Playtest. So there are products lined up all the way to September – and for those curious, the debate is still going on as to whether we will continue to support Pathfinder 1 once the 2.0 comes out, but at the very least the support for Starjammer will continue, which is of course Pathfinder compatible. At the moment, it also seems likely that we’ll continue releasing PF1 book until the release of PF2. At the moment, the discussion is leaning towards a tentative yes to continue to support PF 1, but there’s nothing set in stone as of yet. What is set in stone though is that we still have a lot of content that we wish to put out for PF1 and 5e, and there are products lined up all the way to September as mentioned (that’s a major part of what I’ve been arranging this month), and we have a couple of books in layout (1 for Pathfinder, 1 for Starfinder), along with 2-3 more that are in various stages of editing (1 awaiting final approval, one that’s just waiting for copy editing, and one that’s just come in way ahead of schedule). THE STARFINDER VERSION OF STARJAMMER IS FINALLY COMING TO PRINT! Earlier this week, I managed to track down the files we’d used for the conversion and the previous print-version of Starjammer, so that we can get work started on the Starfinder version. It’s been sent off to our layout artist as well, though he’s currently busy working on the website, so it might not be quite as quick as we’d have liked. Hopefully, that’ll happen in April too. Finally, there’s going to be some changes on the blog, though not all of them are ready yet. The main one being that I’m stepping away from writing on the columns. I’m a little sad about that if I’m being honest, as it’s something I greatly enjoy (I have a separate column on a different website as well, called D20Radio but my main outlet was here), but I have to face that the Opengamingnetwork went for broke quite quickly at the beginning of the year. When I started in September last year, I was the only author, doing 1 blog per week (Creative Characters), along with a review blog every other week. Now, however, there’s a new blog 5 days of the week, with another 2 further blogs coming every other week. And I’m the one editing all of them, which is taking me more than twice as long as writing my own blog, in between answering questions from the authors, doing the actual editing, scheduling them in, and basically sorting all the little things in the background. So something had to give, that (unfortunately) being my own blogs. And for anyone wondering: No, my normal products are still going to come out, but my blogs will, for the OGN at least, be limited to just the Editor’s Corner. I might start something myself on the side, but that has yet to be determined.